At One Man and A Brush painting in Kennesaw, GA, we believe in doing it right the first time. 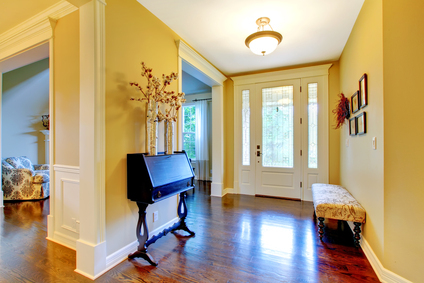 Choosing a Kennesaw painting contractor to work on your home is one of the most important decisions you can make. That’s why more & more homeowners are looking to One Man and A Brush Pro House Painting for professional, clean, on-time and budget friendly exterior painting & interior painting. Being a smaller painting contractor allows for owner oversight, personal customer service, daily communication of your project’s progress, and including quality paint at cost, with no mark-up, we’re able to offer you the very best house painting value in Kennesaw GA.
Our services don’t end on the last day of your house painting project. We offer a 3-day touch-up service and a 2-5 year warranty. You deserve quality house painting you can be proud of—that’s the only kind of work we do. Give our painting contractors a call today and you will be glad you did. If you are looking for a professional Kennesaw painter or painting contractor in the Kennesaw, GA area then please call One Man and A Brush at 678-368-5115 or complete our online request form.